Ryo Ikeshiro is a UK-based Japanese artist. His works range from live A/V performances and interactive installations to generative music pieces and scored compositions. He has presented his works internationally at media art and music festivals, as well as at academic conferences. He is a finalist at the Fresh Minds festival this year, and he is featured in the Electronic Music volume of the Cambridge Introductions to Music series. He was originally trained as a classical musician, but then branched out into electronic music and other genres. The meeting of these two worlds informs his practice. Ikeshiro's practice-based research at Goldsmiths involves “live audiovisualisation”, where the same data and process produce both the audio and the visuals in real-time, without either one following the other – as seen in most VJ performances and visualisations. 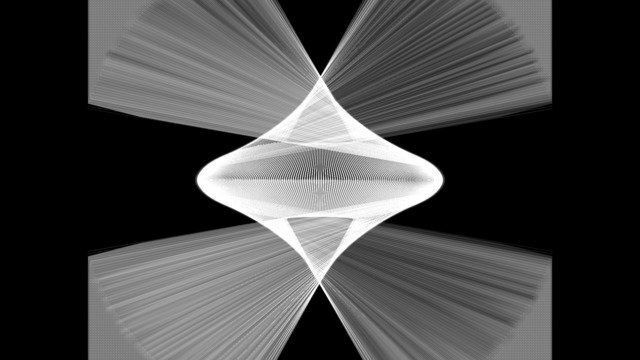 Emergent systems are used as basis for creating custom-made programs to generate sound and moving image. These could be compared to instruments or machines which are chaotic and unpredictable. In performance, Ikeshiro attempts to understand and control both of these components in a duet – or duel.